posted: March 26, 2018 by: Megan Harris, DVM Tags: "Clinic Specials" "News"
Dr Casey received a huge honor from his hometown this past month. 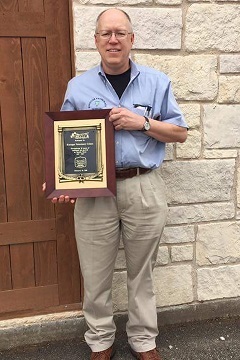 Risinger Veterinary Hospital was recognized for 30 years of sustaining growth within the businesses of Terrell Texas. Come by to see the plaque hung with pride in the RVH lobby!